How Do I Handle Large Format Sheet Film in the Dark? How Do I Handle 4x5 Sheet Film in the Dark? 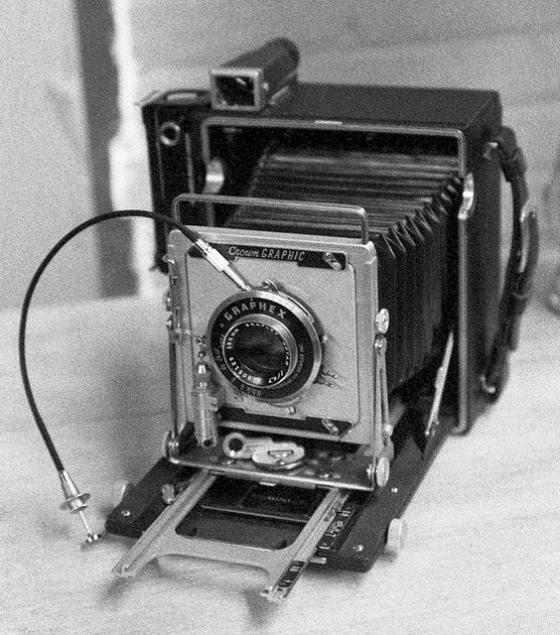 So you've purchased your first 4x5 camera (like the Crown Graphic pictured below) and some film holders, how do you handle 4x5 sheet film? How do you know what side to load in your film holders? You may have other questions like how is sheet film packaged inside the box? More importantly you may ask, what does it feel like in the dark? Do different manufacturers package differently? What about once the film is shot? What is the best way to pack exposed sheets back up for shipping them out to a lab? Put them back in the box? Or do you prefer a different method? For the most part, sheet film comes packaged very similarly between manufacturers. The film will come in a three stage box; the top lid, a bottom receiving lid, and an internal lid containing a light tight bag of film. Depending on the brand of film, the bag will be black plastic or a foil envelope. Inside the envelope, the sheet film will be sandwiched between two pieces of cardboard of the same size of the film. Again, different brands may have different pieces of cardboard (two pieces or one long v-fold piece). 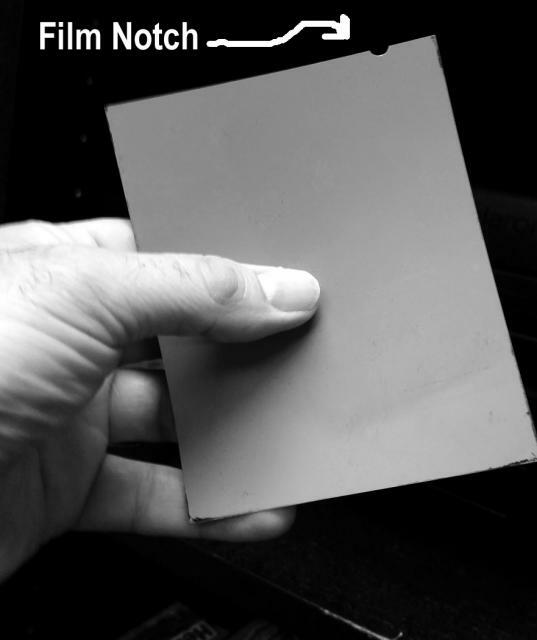 Once inside the envelope, locate the film's code notch. This will be located on the edge of the sheet film, either upper right hand corner or bottom left hand corner. Keep the code notch oriented in one of those two positions (I always use upper right) to assure the film is loaded emulsion side up, otherwise, you'll be doing some very expensive red scale photography. above: the three-stage box that most 4x5 film ships in. As for unloading and shipping sheet film, NEVER THROW FILM BOXES AWAY! 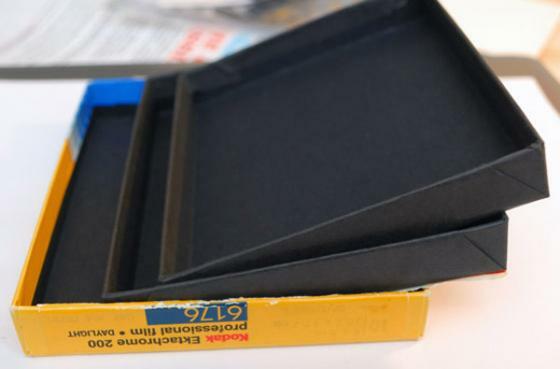 They are incredibly useful for storing film yet to be processed, storing processed negatives, and all-around organization. Same goes for those pieces of cardboard and light tight bags. Before I ship sheet film, I make sure to load the film back in the bag just as I found it when it was unloaded for shooting, cardboard, dark bag, and all. Then, to make sure I don't confuse the film with other unexposed film, I tape up the box with masking tape and label the box with a permanent marker. 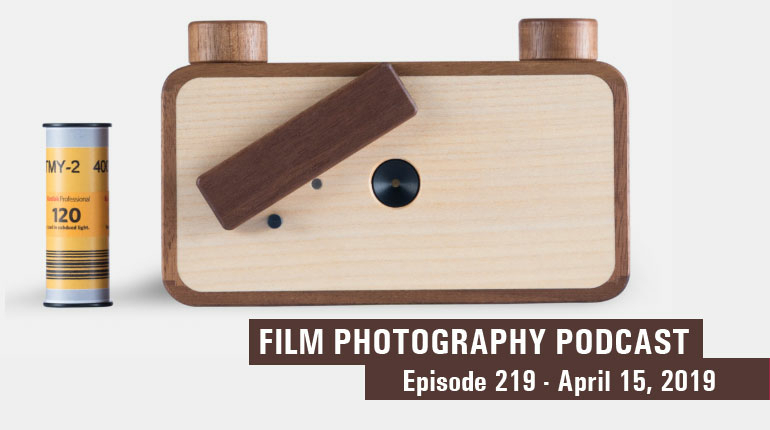 Try not to mix different types of film, especially if you want to minimize the chance for errors from your lab (again, another great reason to not throw out boxes). The same applies to other sizes of large format film too. Other than that, have fun and shoot some sheet film! Mat Marrash is the FPP’s resident large format expert. He’s been working with 8x10 cameras nonstop for the last seven years, and has been dreaming of the day something like this would happen.